The wonder of insect flight is shown in the great variety of wings and the way that they are used in flight. Butterflies may seem driven by wind or gentle breeze but in fact are excellent fliers, with some covering immense distances in migration. Starting life as caterpillars, metamorphosis defies an evolutionary explanation for their supposed development from some worm like creature. Dragonflies are the kings of insect flight with their great speed and the ability to control each wing independently, Damselflies have brilliant hovering skills and both these flying insects start off in the water breathing entirely differently to their later life in the air. We examine a number of insects and look at beetles with their brilliant folding wings – examples of naturally occurring origami! We end with the amazing dung beetle which even has the ability to navigate by the stars – such is the wonder of what God has made in the insect kingdom! Professor Andy McIntosh (Leeds) holds a Research chair in Thermodynamics and Combustion Theory, and is an adjunct Professor at Mississippi State University USA. He has a PhD in combustion theory from the aerodynamics department of what was then Cranfield Institute of Technology (now Cranfield University), a DSc in Applied Mathematics from the University of Wales and worked for a number of years at the Royal Aircraft Establishment. He is a Fellow of the Institute of Mathematics and its Applications, the Institute of Energy, the Institute of Physics and the Royal Aeronautical Society. 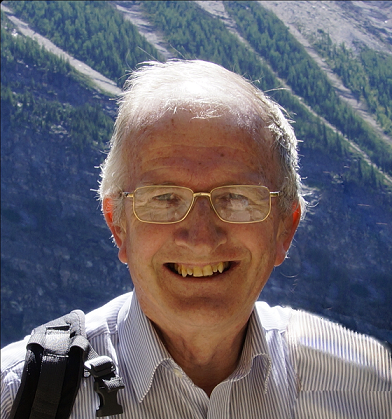 A chartered mathematician and engineer, and author of over 195 papers and articles, his research has been in combustion in fluids and solids and has lectured and researched in these fields for over 30 years. His work has also included investigations into the fundamental link between thermodynamics and information, and in the last few years he has been involved in research in the area of biomimetics where the minute combustion chamber of the bombardier beetle has inspired a patented novel spray technology with applications to fuel injectors, pharmaceutical sprays, fire extinguishers and aerosols. This research was awarded the 2010 Times Higher Educational award for the Outstanding Contribution to Innovation and Technology. He has debated academics in a number of Universities, lectures and speaks on apologetics in many countries on the importance of origins, and in particular against Atheism. He has authored the book “Genesis for Today” (Day One, 6th Edition, 2018), “Genesis 1-11 – a verse by verse commentary”(Day One, 2016), “Wonders of Creation – Design in a fallen world” (with Stuart Burgess and Brian Edwards, Day One, 2017), and has contributed to the books “In six days” (Master Books, 2009) “Should Christians embrace Evolution?” (IVP, 2009), and “Origins – examining the evidence” (Truth in Science 2011). He has also contributed to TV and radio programs to present the scientific evidence for creation and design, in particular Newsnight with Jeremy Paxman (2006), Sunday Sequence (BBC Northern Ireland) with William Crawley (2006) and the Big Questions with Nicky Campbell (2011). He is married with 3 children and 6 grandchildren.